I think that one of my favourite accessories to complete an interior scheme is the humble floor rug. I have been in too many houses with large expanses of flooring – timber, stone or tiles – that are crying out for this simple finishing touch. Even the simplest of rugs will bring many benefits to a space and are crucial in the age of open plan living. 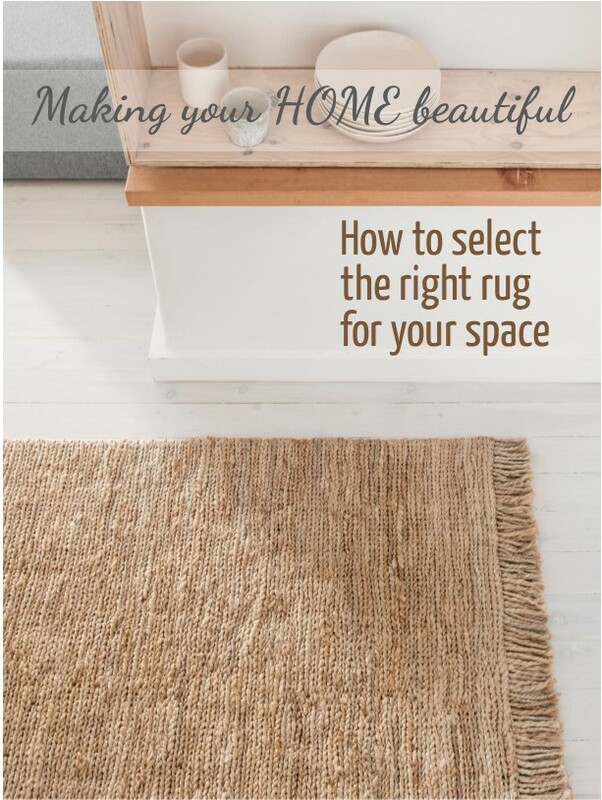 Let me tell you how to select the right rug. Firstly, a rug will effectively zone an area which is a great design tool. This means that when you are in a large open plan house, you can visually separate the space between living and dining, or even in some cases, a third sitting area. Without the incorporation of a rug, the area just becomes a series of groups of furniture, not unlike a furniture showroom. Secondly, a rug brings warmth and comfort and therefore additional seating area, particularly for kids to lounge around on. 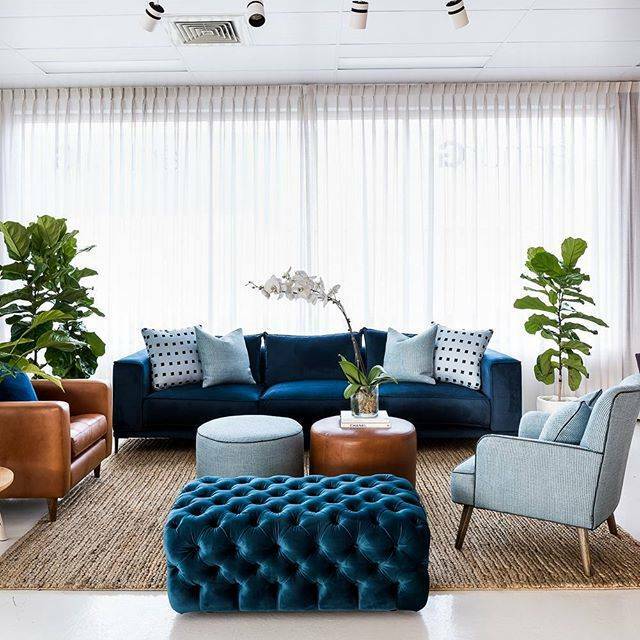 Finally, and this is very important in a large open plan space, a rug offers great acoustic value and helps to absorb sound which is vital in an area where plenty is happening. The beauty of completing a space with a rug is that you can use this as an opportunity to add design and colour if you feel your decorating scheme is lacking personality. Or you can opt for a very plain, neutral solution that will just zone the space if you have enough colour already or you want a simple scheme. When an injection of colour is required then a rug is a great solution as a block of bright colour on the floor will ground a decorating scheme and balance strong colour in other areas of the room. 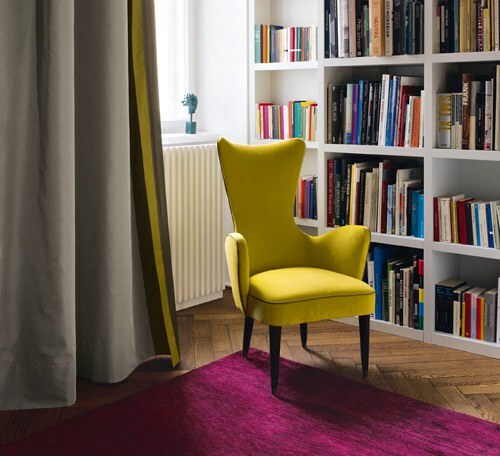 For example, in this image, the bright citron chair is balanced by the hot pink of the flooring. Rather than the rug bringing in too much colour and overwhelming the scheme, it is very bright and out there but balances the look perfectly. 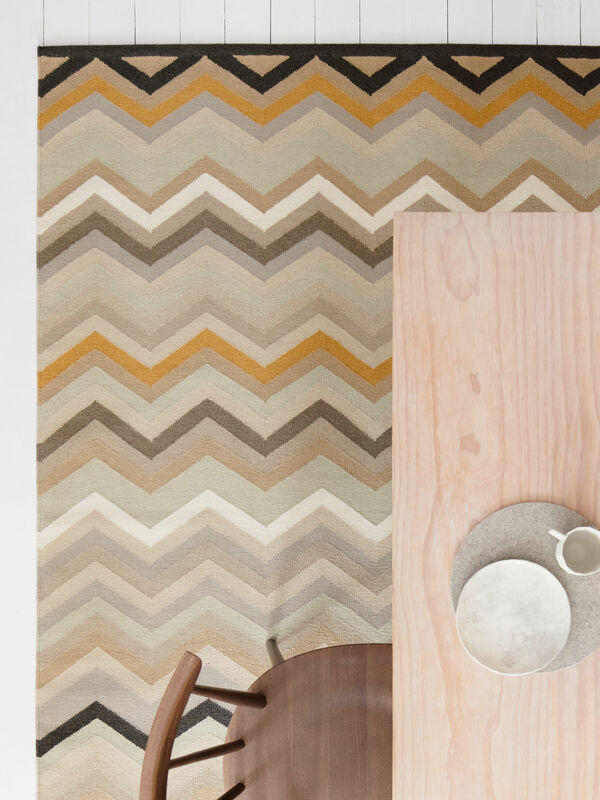 Don’t be afraid of pattern when it comes to selecting a rug. You don’t have to introduce a very complex pattern but a simple stripe or chevron design gives you the opportunity to incorporate additional colours or simply different tones of a neutral which can be very effective. 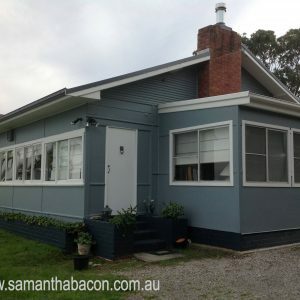 I love this design from Armadillo & Co. The colours are subtle with only one occasional bright accent but the overall look is quite stunning and very effective. This would make a perfect finishing touch in a predominantly neutral dining area. It is a great buffer between the white washed floors and the timber table and chairs and yet the colours employed tie the whole scheme together – inspired! The right rug can also help to pull a colour scheme together. 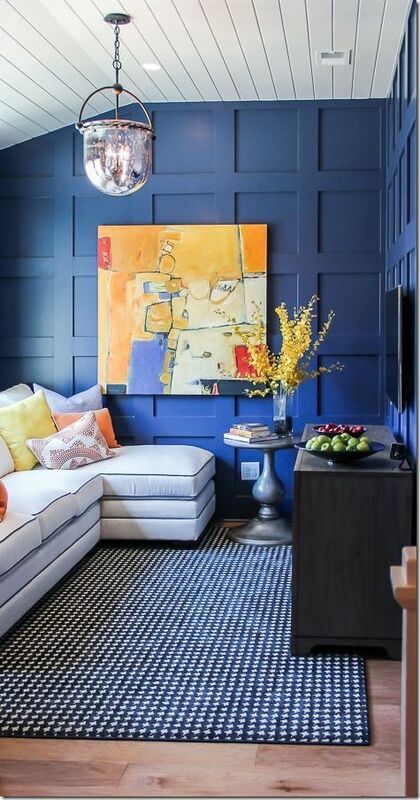 In this room the dark walls and off white sofa are strikingly different however the blue and white floor covering links the two and pulls the colour scheme together. Without this the walls would look top heavy and over-whelming while a solid dark blue on the floor would have a stripy effect. Bedrooms are often not carpeted now but you really still need something nice and comfy to step out of bed onto. 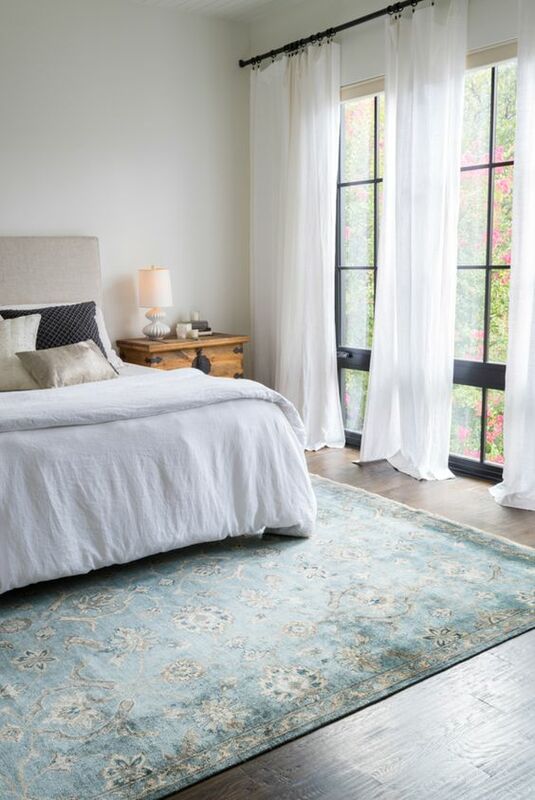 Using a rug in a bedroom is very effective when placed towards the end of the bed. Visually this will extend the length of the bed which can be very effective in a larger space but also it is a very practical solution. I love the soft layers in this bedroom and I think you’ll agree that without the rug here the room could err on being cold and sterile. A rug is also a great tool to introduce texture into a scheme. 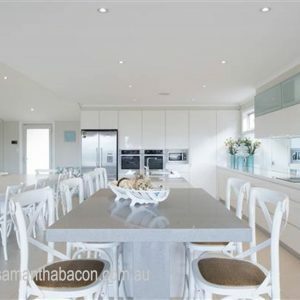 Often hard surfaces in furniture placed directly onto a hard floor can be very unappealing but the texture of a rug placed in between breaks up the look perfectly and this can offer visual relief when you have a large timber dining table and chairs placed directly on a timber floor. Texture is also very important in all white or neutral schemes where you are not introducing colour. 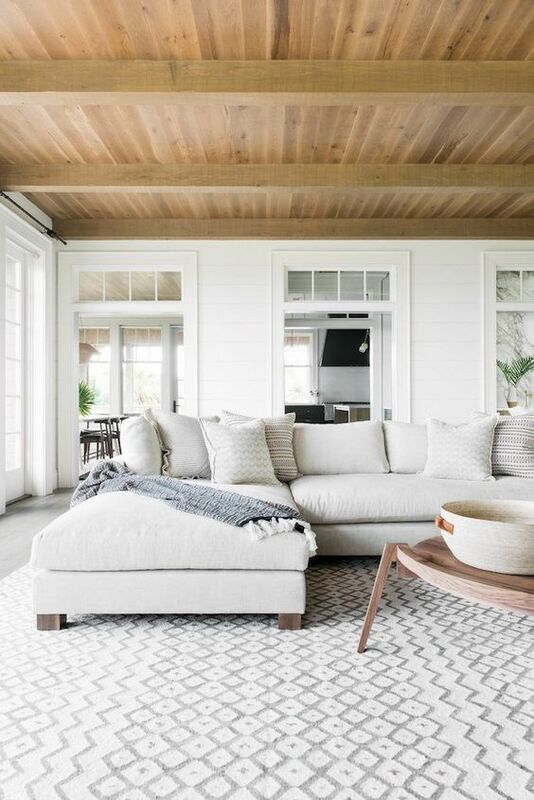 To ensure the look is not too bland and one dimensional you need to consider using lots of different finishes so a rug with a beautiful texture is a great tool for a simple space with an all-white or neutral palette. Don’t just limit your rug placements to living and bedroom areas as a long bare hallway, particularly an entrance hall, can really benefit from an extra floor layer. Hall runners can be an excellent way to bring in some colour and pattern into what is often just a pedestrian walkway and an area of a house that can be forgotten in the decorating stakes. I like to group furniture either fully on or part on a rug. Placing a chair or sofa half on and half off of a rug is very effective and looks generous. If you have flooring that you don’t particularly like you can have an area rug that holds all of the furniture in the grouping. Generally, go for a larger rather than a smaller sized rug to get the right effect. 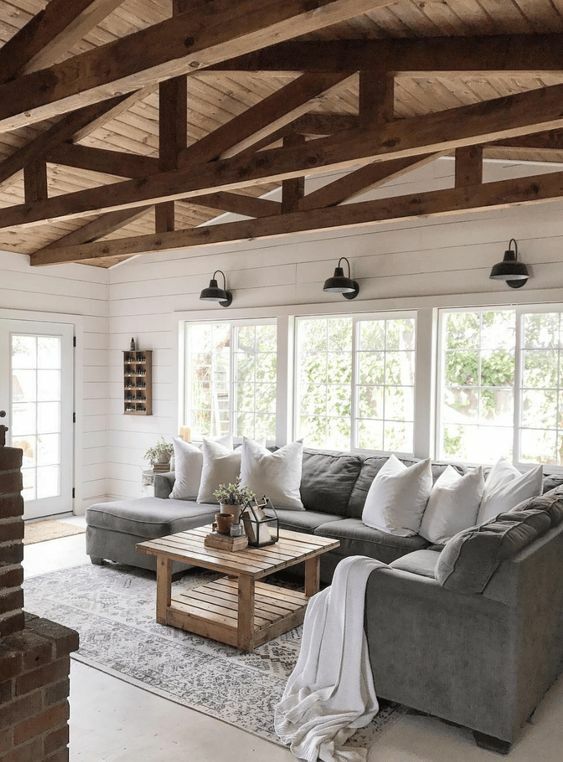 You can simply measure the space in between your furniture and place the rug in the centre but make sure you don’t have too much bare flooring showing between the edge of the rug and the start of the sofa as this can look quite mean. You really need to think carefully about the size of a rug that you place underneath a dining table. Consider how far out your dining chair will come when you move in and out of the chair as it is awful when the edge of the rug keeps catching on the dining chair. As with carpet, in addition to colour, pattern and size, you also need to consider the composition of the rug. Natural floorcoverings, for example those made from sisal, jute, coir or hemp look as they should – natural. The beauty lies in their texture and these rugs are an excellent choice for a coastal scheme or a more formal look that needs a touch of informality. 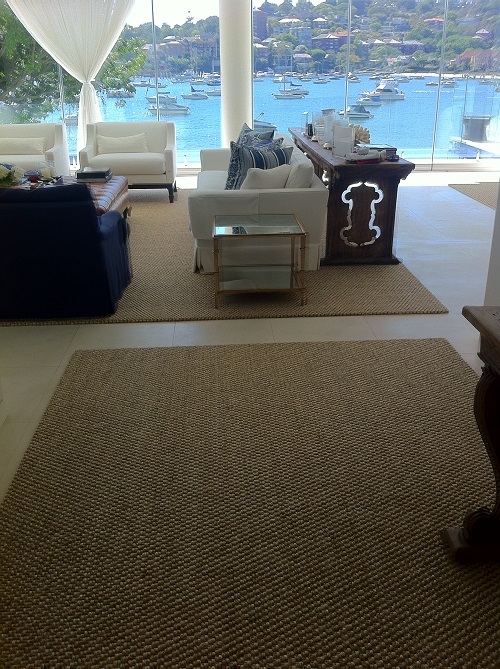 A classic statement in a Hamptons style scheme, these rugs really suit many different looks. As you can probably guess, I am a fan! A soft wool rug or one with touches of art silk running through them are beautiful accent pieces in a living area. They add elegance and softness and are also great to lie on! I must say that I am not a fan of rugs that do not contain natural fibres. However some that are suitable for outdoor use are now very soft and can work well in a high traffic area or if you have very young children who are likely to make a mess! 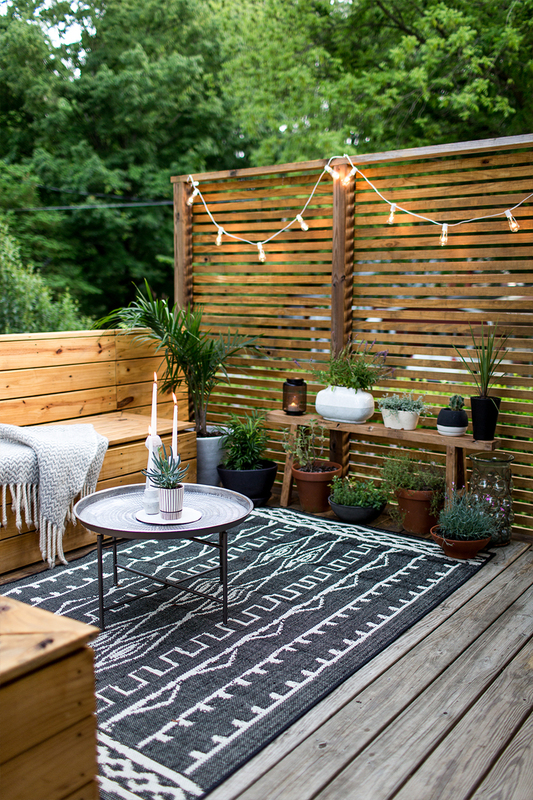 I really like the way that people are turning their outdoor areas into another useable room with the addition of comfortable furniture, wall hangings, potted plants and rugs. This is where the new range of outdoor rugs are very successful. Do check the composition of the rug though, particularly if you are buying online and can’t feel the product. The rugs that are made from PET fibres are usually the softest and look and behave most like an indoor rug. 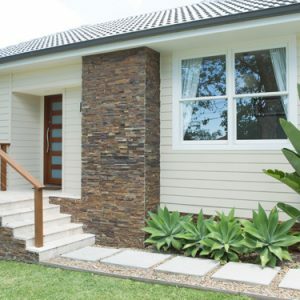 I don’t believe there is any other element in an outdoor area that helps to turn the covered area into an additional room. 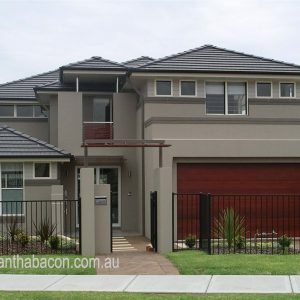 Of course, you absolutely must have a synthetic solution here to withstand the elements and to easily wash down. My mantra for putting together a decorating scheme is to start with the floor and work upwards and if you fall in love with a beautiful rug this can work too as a starting point. But often when it comes to finishing touches like this you really need to start with the flooring as a whole, for example polished concrete, tiles, timber etc. and then bring in your wall and trim colour and major decorating pieces like sofas and armchairs. Then you can consider your choice of rug which will help to complete the look and either balance the colours, simply add texture and warmth or an injection of pattern into a room with block colours. I hope that this post has inspired you to introduce a rug into your home as it really is a great finishing touch. 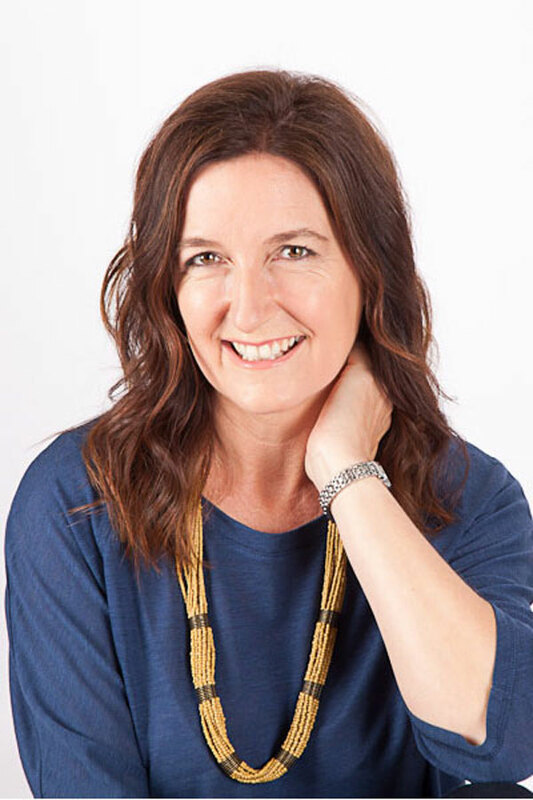 I would love to hear from you in the comments section below with any questions or comments you have about your interior decorating dilemmas and successes. 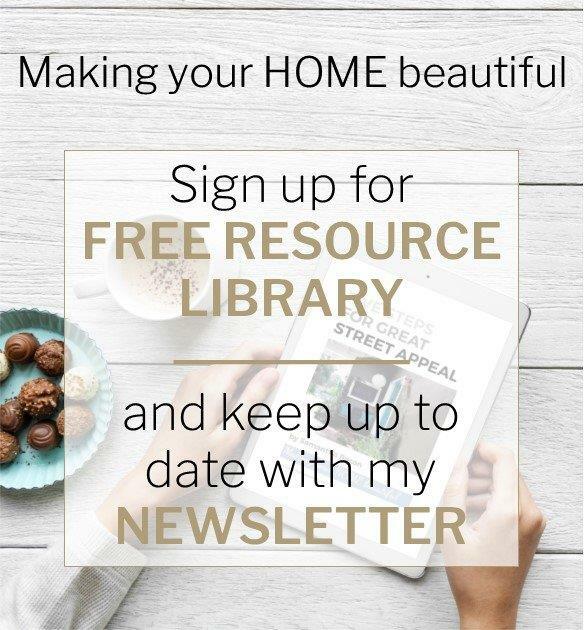 I have lots of beautiful inspiration too on my Pinterest page. I like that you talked about how you should consider adding rug placements in the areas like hall runner to bring in some color and patterns to it. The hall runner on the second floor of my house looks so plain and lifeless, and I want to find ways to give some life to it. 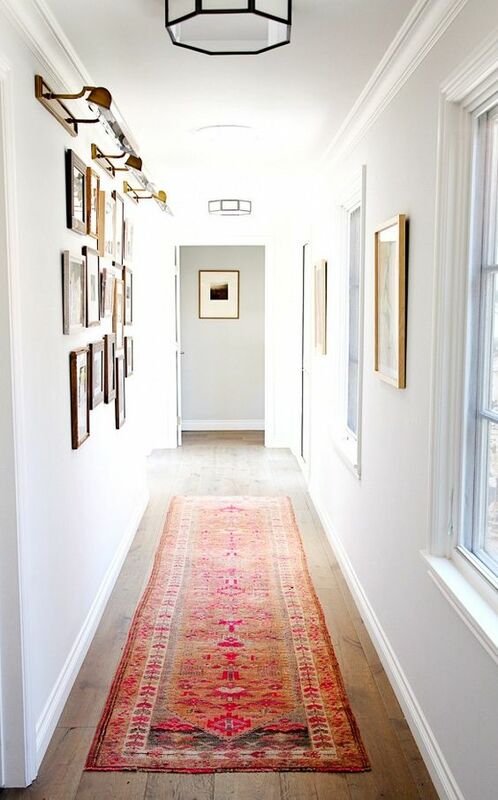 It will surely be easy for me to achieve the look of the hallway that I’m looking for by shopping for new rugs for it. Thanks for sharing this.